Toro offers a range of gear driven rotors that cover all applications from large residential installations to complete sports field systems. The Toro T5 rotor has the ability to satisfy residential and light commercial irrigation needs with some surprising extras. In the same body size as competitive units with only 100mm pop up, the T5 delivers a full 125mm of pop up height. 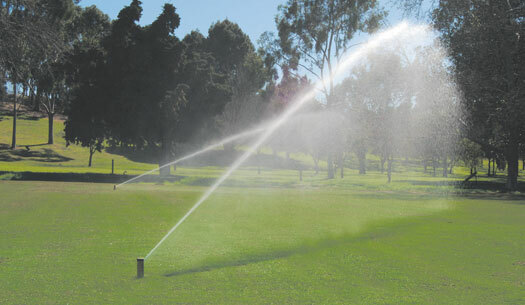 Part and full circle arc are all in one sprinkler, with a quick and easy top adjustment feature that allows arc sets between 40 - 360 degrees. The nozzle tree of the T5 offers standard angles, plus a low angle set, all delivering a wide selection of flows. Nozzles are balanced, allowing for the use of any nozzle on the same zone, where different arcs are being irrigated at the same time. The durable Toro T7 one inch rotor is built tough for commercial landscape, sports fields and municipal applications. It has high efficiency nozzles to ensure that water is evenly distributed across the pattern without putting too much water near the head, which prevents seed from washing away. With a pop up height of 127mm it towers above taller grass. 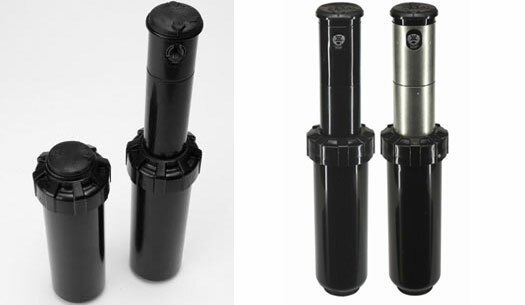 The arc setting indicator on top allows for easy wet or dry adjustments from 45 – 360 degrees. Smart Arc prevents vandal abuse and damage by returning the rotor to its original arc setting if tampered with.